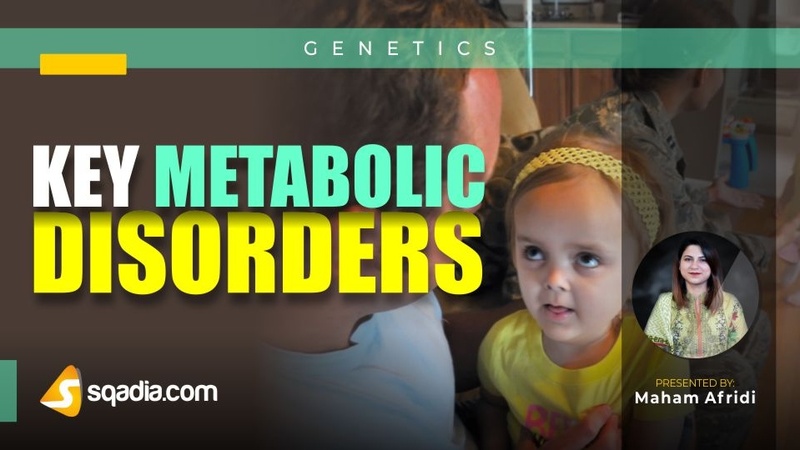 Metabolic disorders incorporate a variety of ailments that affect the chemical processes in human body. A few of these call for quick recognition and intervention. Disorders of amino acid metabolism are a category, which include a commonest condition termed as alkaptonuria. In this malady, there is a defect in gene responsible for the synthesis of homogentisic acid (HGA) resulting in its accumulation. In addition to this, there is another disorder of sulfated amino acids called homocystinuria. It has autosomal recessive inheritance. Maple syrup urine disease (MSUD) is owing to deficiency of ketoacid dehydrogenase. Isovaleric acidemia is however, an abnormality in leucine metabolism. 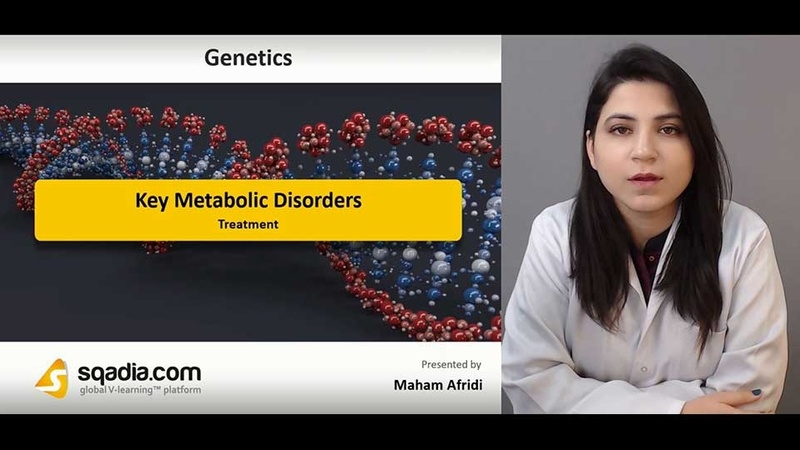 Whereas, carbohydrate metabolic disorders include glycogen storage disorders, galactosemia and fructosemia and pompe disease in which there is disturbance in glycogen metabolism, incapability to metabolize galactose and fructose and too much build-up of sugars in blood, respectively. Disorders of urea cycle lead to the excessive accumulation of ammonia which is an extremely toxic compound. These disorders encompass ornithine transcarboxylase deficiency, citrullinemia, argininosuccinicaciduria and argininemia. However, disorders of fatty acid oxidation (heterogenous) include medium chain acyl-CoA dehydrogenase deficiency. In this condition, there is impaired break down of medium-chain fatty acids into acetyl-CoA. Moreover, lysosomal storage disorders range to almost forty in number. An autosomal recessive disorder entitled Tay-sachs disease falls under this category. It has insufficiency of an enzyme hexosaminidase-A (Hex-A). Trace metals disorders have broad categories. Amongst the list of copper metabolism defects are Menkes disease and Wilson Disease. These are X-linked disorder and autosomal recessive in inheritance, respectively. Whereas, hemochromatosis is a disorder of iron metabolism. Disorders of nucleic acids includes Lesch-Nyhan Syndrome which is a self-mutilation of head and hands, especially in young boys. In addition to these, there are certain enzyme deficiencies entitled adenosine deaminase (ADA) deficiency in which there is adenosine deaminase enzyme deficit as is evident from the title. Amongst the list of disorders of vitamins and cofactors metabolism are biotin disorders, and disorders of biopterin metabolism and cobalamin metabolism. In addition to this, there are defects in sterol metabolism as well. In the list of these are; Antley-Bixler syndrome, CHILD syndrome and Smith-Lemli-Opitz syndrome. Phenylketonuria is a condition caused by a deficit of enzyme phenylalanine hydroxylase resultantly leading to impaired conversion of phenylalanine into tyrosine. It presents with a range of features viz mental retardation, seizures, autistic behaviors etc. Treatment strategy of this ailment includes a semisynthetic diet which is low in phenylalanine content and has adequate amount of nutrients. This should be monitored by follow-ups measuring the levels of both phenylalanine and tyrosine.